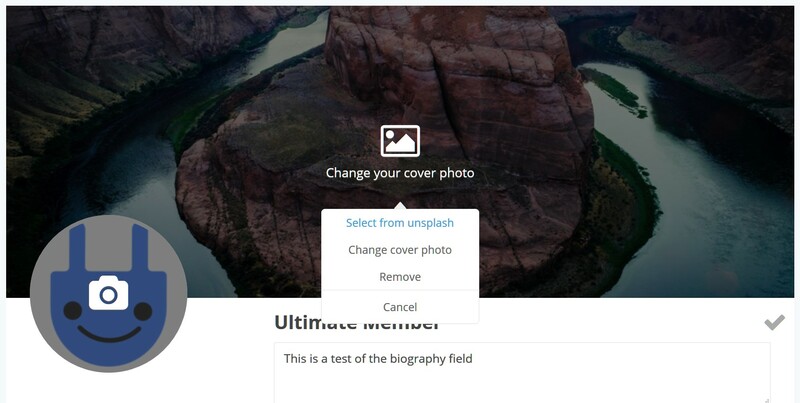 This document provides instructions on how to setup Ultimate member Unsplash extension so users can set beautiful profile cover images directly from Unsplash. 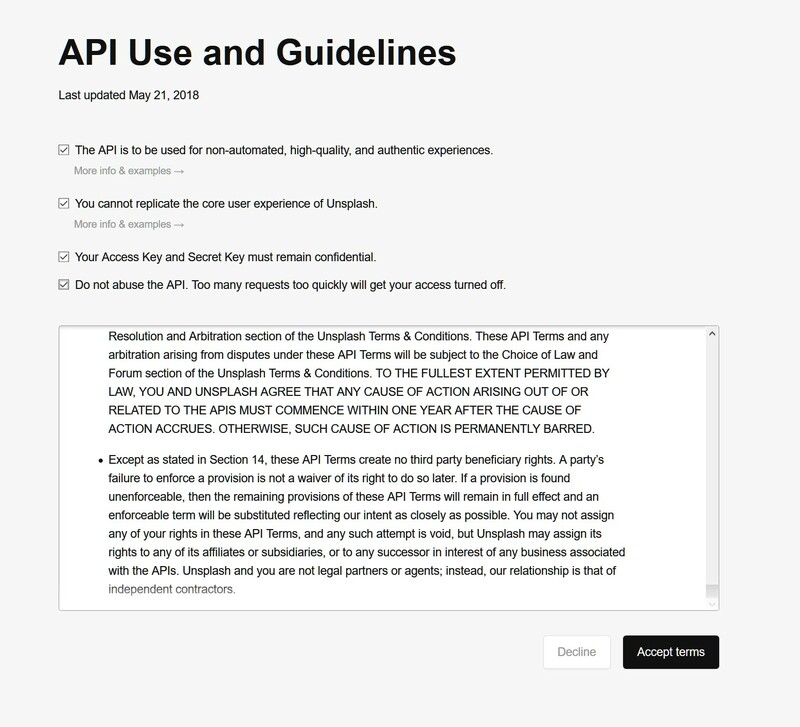 For the Unsplash extension to work correctly you need to create an app on the Unsplash website. Create an account on the Unsplash website. 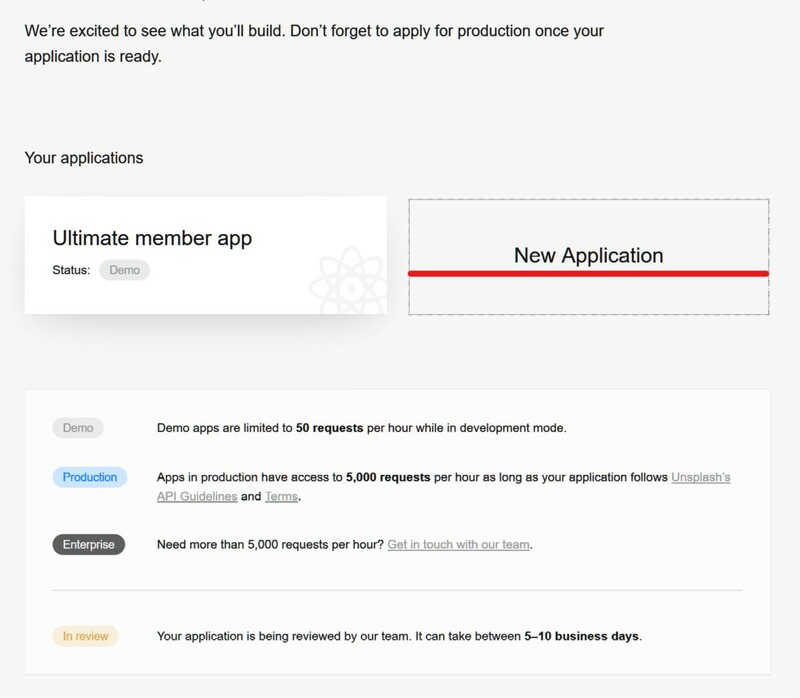 Click on "Your apps" and on "New application"
You will need Unsplash Access key to link Ultimate member Unsplash extension to your Unsplash app. After the Unsplash app setup, you have to copy your Unsplash Access key and add it to the Ultimate member -> Settings -> Extensions -> Unsplash -> Access key field. 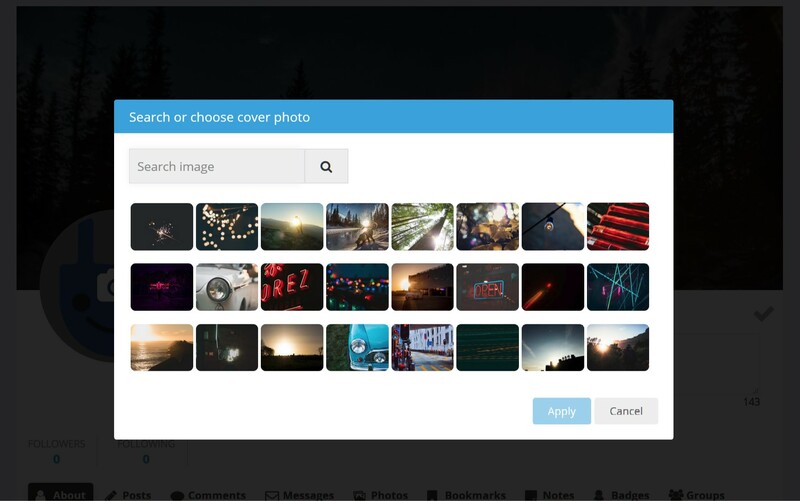 Now your users can set beautiful images from the Unsplash image database as a profile cover image.